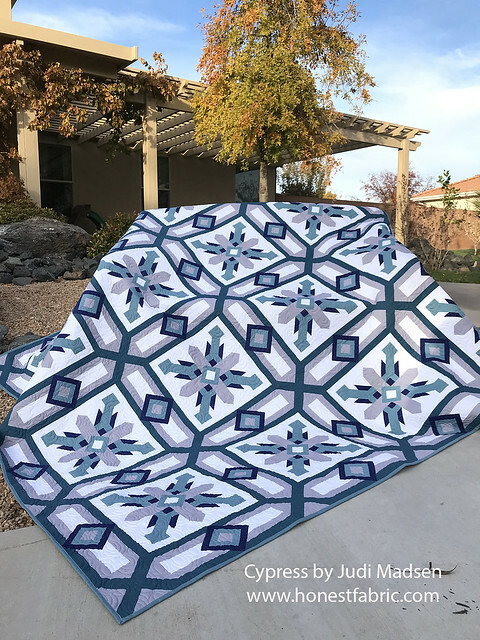 I am so excited to share with you my Cypress quilt top. This is a fabulous design that is now available as a custom printed quilt top, no piecing necessar! Some of you may say - cheater quilt ;-) but it so much more than that. I am excited to say that I have joined the www.honestfabric.com design team and I currently have 6 designs in several colorways available. 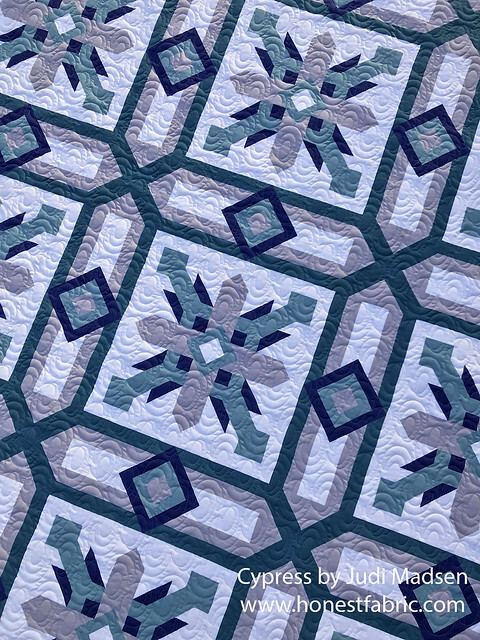 These are designs that are perfect for the advanced quilter who wants to just start quilting, or the new beginner quilter who wants to practice - or the person who just loves the design so much they want it on their bed right away. I have 8 colorways available on this design - they are all so beautiful. Check them out here. What is fabulous about my designs is that they are square quilts and the extra fabric that comes on the top and bottom of the quilt are perfect for the binding. That is what I have done with this quilt. 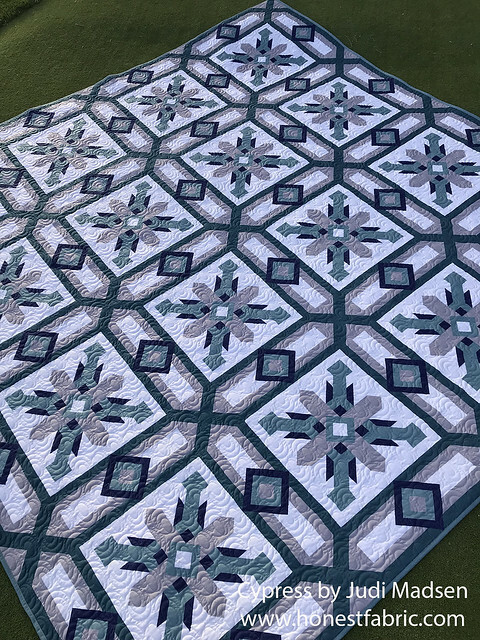 I quilted an allover Gravity design on this quilt - just to show you it can be done this way, but I am looking forward to custom quilting another colorway soon. 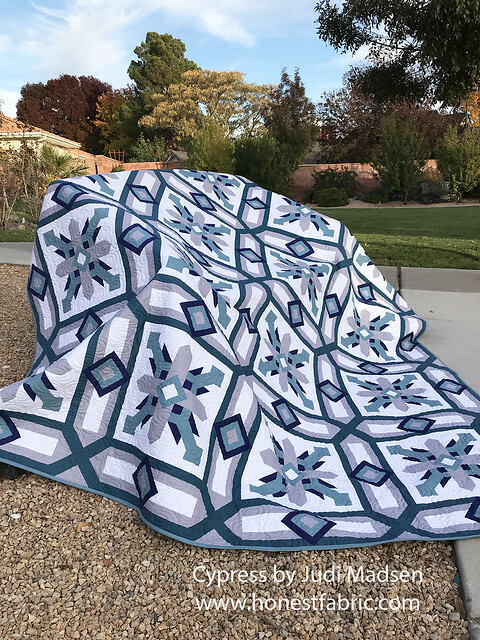 I am just in complete awe of this design, it is so striking and so beautiful and I know you will find a colorway that works for you! Stay tuned for more highlights of my quilts designed with www.honestfabric.com - I have my Ticky Tack quilt custom quilted, and that will be shared with a giveaway soon. Looking forward to that! What a fantastic idea, Judi! These are PERFECT for working on those custom quilting skills! Wow! 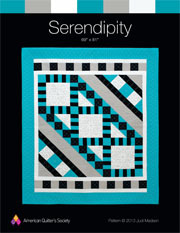 That is stunning and it certainly looks like a pieced quilt. Very effective! The links to the colorways are not working for me. Please repost with broken links fixed, or supply a web address. Would like to see all. Love your design but not keen on using 100% polyester for a quilt.